I received a few items from TesterKorea within the frame of their Beauty Tester Event. 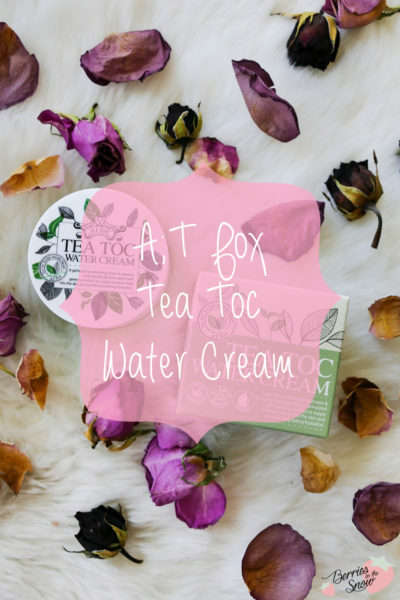 This one was the only skincare related product within the bundle I received, the A;T Fox Tea Toc Water Cream! Tea and water sound definitely like my cup of tea XD ! 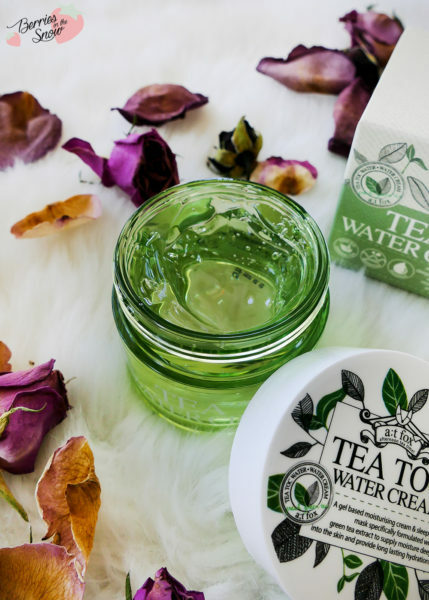 This gel cream uses green tea extract and comes packed with a lot of moisture and can be used as a regular moisturizer or as a sleeping mask! First, some information about TesterKorea: if you know me and my blog for some time you will know that TesterKorea is my favorite online retailer for larger KBeauty hauls. I’ve purchased products from them many times and they never failed me. Also, they are quite popular for offering many free samples and having a LARGE variety of samples for sale as well. If you do not know a specific product and you want to test it I can recommend you TesterKorea. Also, they have a huge amount of different products from many brands, so you can be sure to find what you are looking for in most cases. Unlike other online retailers they do not offer free shipping, though, but their shipping is based on weight. The cheap prices of the products themselves totally balances out the shipping costs in my eyes – especially for larger hauls. They even have a specific topic where you can request a product if it is newly launched. They are also quite fast in listing the latest products from most brands. Considering the fact that I know they are a reliable retailer and have a good reputation makes me even more happy that I’m part of their new Beauty Tester round-up. A;T Fox is not the most famous KBeauty brand, but it has a good reputation and some really cute designs, too. I had 3 cupcake shaped creams back in the days of the MeMeBox craze, and I loved the tiny cute jars! The brand has a lot of products containing tea, btw! 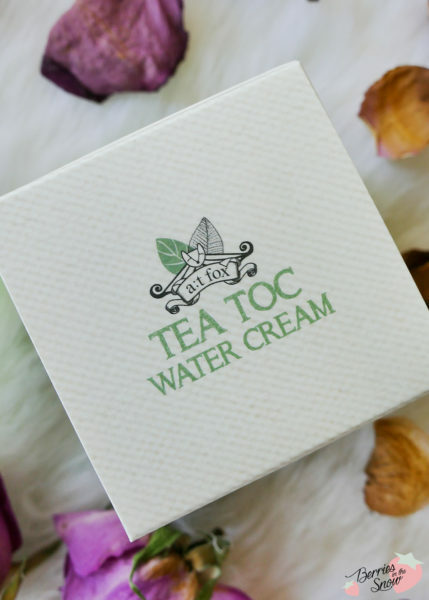 The jar of A;T Foc Tea Toc Water Cream comes in a cardboard box. Both have a very cute design with leaves and green colors, which fit great with the key ingredient green tea. Also, look at the beautifully illustrated lid of the jar! It looks very pretty! According to SkinCarisma, the cream is paraben-free, sulfate-free, alcohol-free and silicone-free! There are also a bunch of plant-based extracts, like green tea, Centella, licorice, aloe, rosemary, and chamomile! 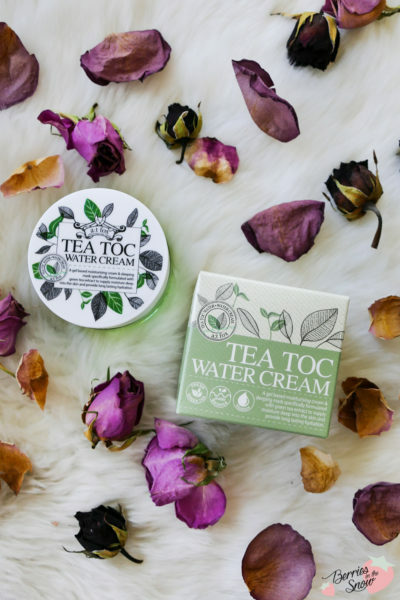 All these plant-based extracts come with notable properties for skin care. As you might know, Licorice is good for fighting acne because of its anti-inflammatory effects. Moreover, it has brightening properties. 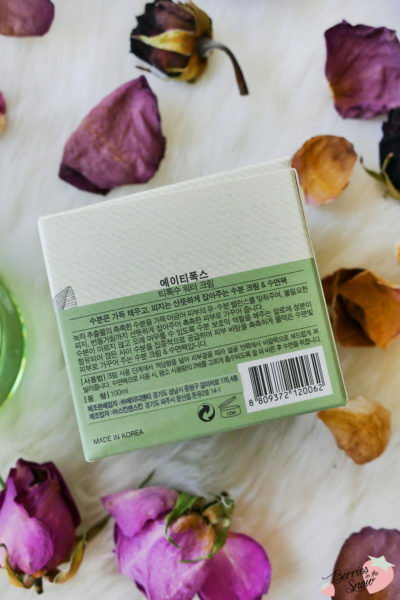 Centella has wound-healing properties and acts soothing and is one of my favorite ingredients atm (check out other products containing Centella Asiatica >>here<<). Aloe, chamomile, and allantoin all have soothing properties, too, and help with moisturizing the skin. 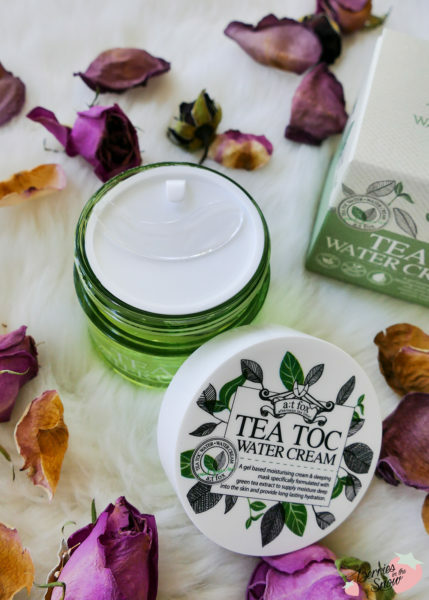 The A;T Fox Tea Toc Water Cream comes in a big jar containing 100ml of the gel-type moisturizer. It comes with a spatula for keeping the jar as hygienic as possible, which is important for big product sizes in my eyes.The gel texture feels cooling and refreshing, which I always love about products with that kind of texture. 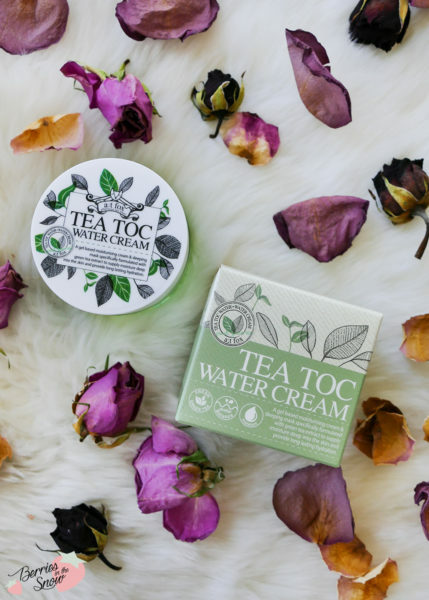 The plant-based extracts even promote this freshness and cooling effect! The gel melts into water while applying it and has a pleasant fresh scent, that is not overpowering. It absorbs very quickly and soaks into the skin without leaving greasiness or a sticky after effect. I love the way that it feels like nothing on the skin! This makes the cream also a great sleeping mask! Usually, for daily use, I would use a good dollop of the cream to apply all over my face. When using this as a sleeping mask I simply take the double amount and apply it. It feels so refreshing! Since there is no trace or film I can imagine that the product is even great for all skin types. It may not be nourishing enough for very dehydrated skin types though who prefer heavy creams. 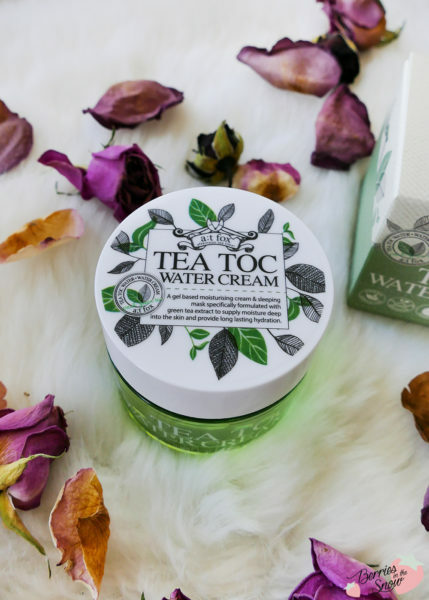 The A;T Fox Tea Toc Water Cream is a nice 2 in 1 product that can be used as a daily moisturizer, but also as a sleeping pack. 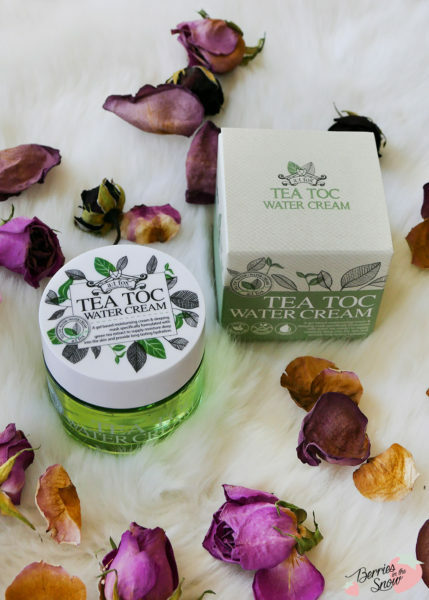 It has refreshing and cooling properties and the soothing effects of the plant extracts make it great for sensitive and irritated skin types. 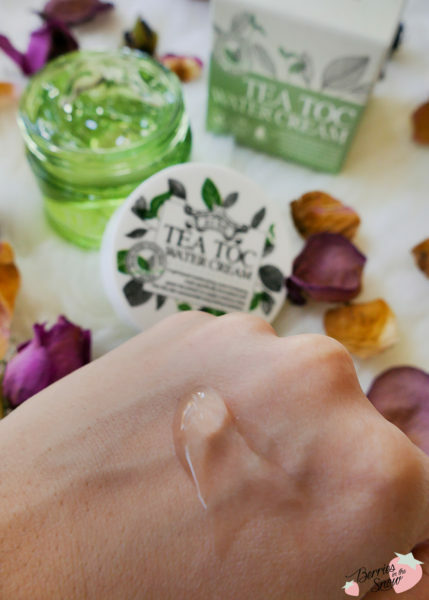 It may be not rich enough for very dehydrated and dry skin types seeking more nourishment, but I can imagine that this is a great moisturizer for hot and humid weather. If you like lightweight moisturizers that don’t leave a film or trace and are simply absorbed you will love this! 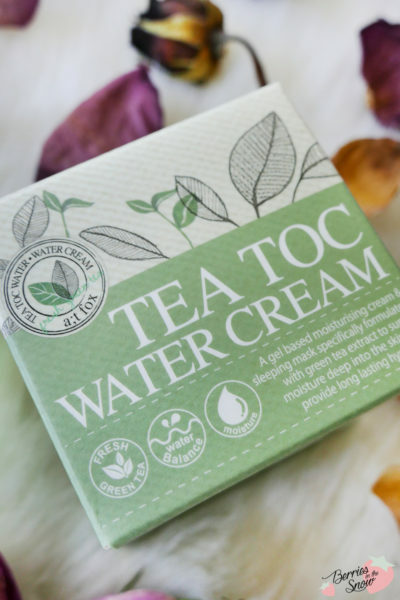 The A;T Fox Tea Toc Water Cream retails for 14400Won at TesterKorea, which makes around 14 US$. 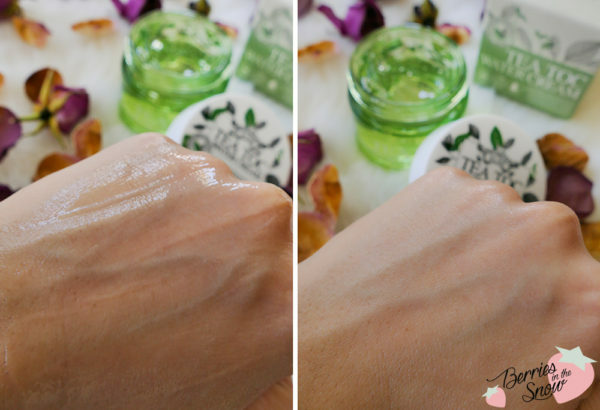 Do you prefer gel type ord cream type moisturizers? Are you familiar with A;T Fox? Just as a short reminder: All products mentioned and reviewed on this blog are of my personal opinions. This product here was sent to me for reviewing purpose by http://testerkorea.com/ which doesn’t influence me in providing my honest opinion on the products.